Modern 3 Storey Commercial tower at the base of 35 story EVOLVE high rise tower. 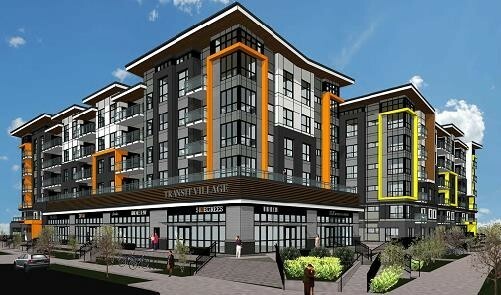 Ideally located in West Village in Surrey City Center, Lower Mainland's fastest growing urban core. Only 1 block west of City Hall, SFU, Kwantlan & Skytrain. Great street visibility from both 133 A St and 104 Ave. 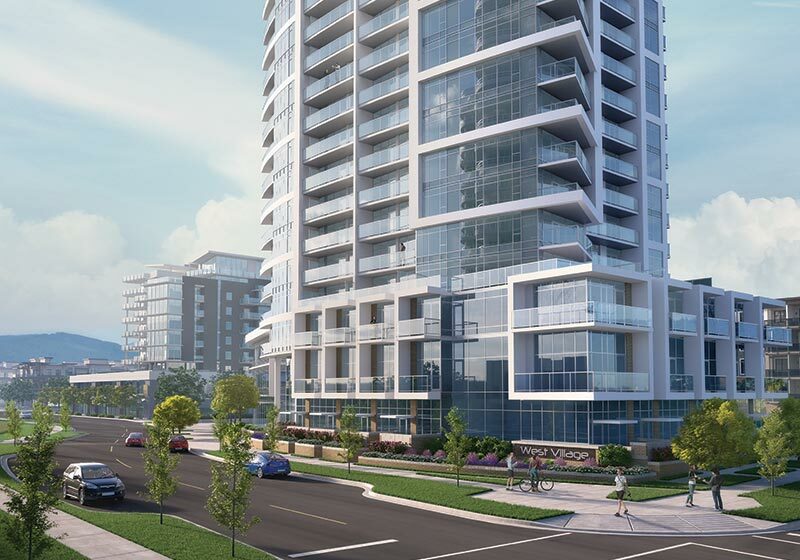 The 35 story EVOLVE high rise tower will be a landmark for the West Village in Surrey City Center. The 407 superbly placed homes are sold out. Residents will enjoy amazing views, quartz countertops, porcelain tile, engineered hard wood flooring, and polished chrome hardware. FUSION - A perfect blend of comfort and convenience. Modern luxury 146 apartment rental building offering the ultimate urban lifestyle with state of the art amenities and roof top deck. 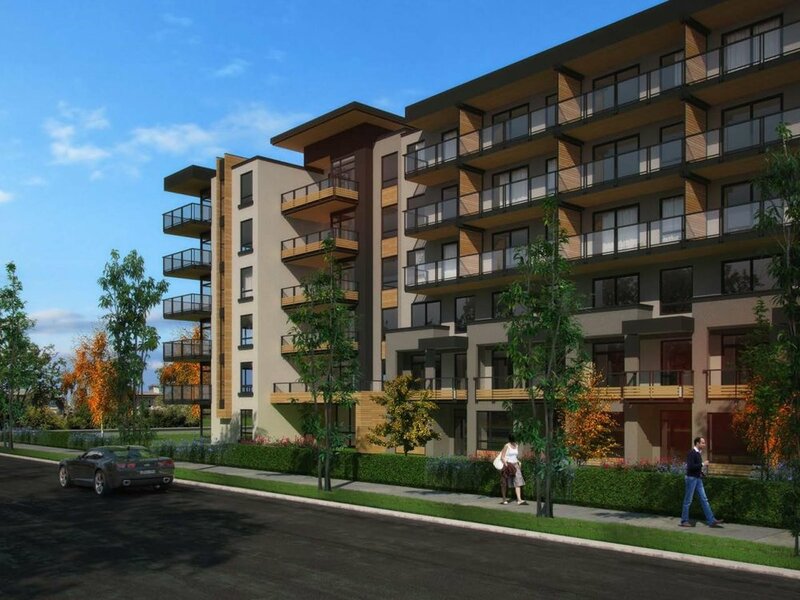 Located adjacent to Surrey Memorial Hospital and Health Campus, an easy walk to the King George SkyTrain Station, and future Light Rail Transit stop. Now Leasing for Fall of 2018. Innovation Village will focus on all levels of care for our ever growing senior’s population. The main building Innovation 1 will consist of 220 assisted living and complex care beds, and 280,000 sqft of medical space. The two smaller buildings Innovation 2 & 3 will be used for independent living and will provide some 200 homes for seniors. 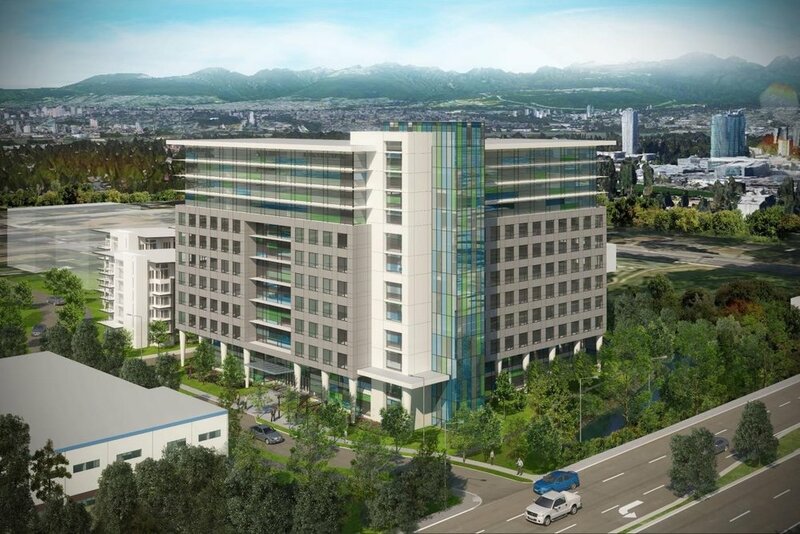 Located in the core of Surrey City Centre City Parkway sits immediately adjacent to Surrey Central Skytrain Station and a future stop for Surrey’s new Light Rail Transit system (LRT). The property is within a 1-minute walk of Simon Fraser University and a 2-minute walk from the Central City shopping mall. Situated within easy reach of two major universities, WestStone decided that an “academic tower” would be best suited for this location. This project is a partnership with the global education company CIBT. The initial design includes a large amount of commercial space in the podium with college classrooms above, dorm rental units with a hotel component on the upper floors paired with amazing amenity spaces. West Village is nestled in the heart of Surrey City Centre, a community transformed by its acclaimed architecture, arts, and diverse culture. 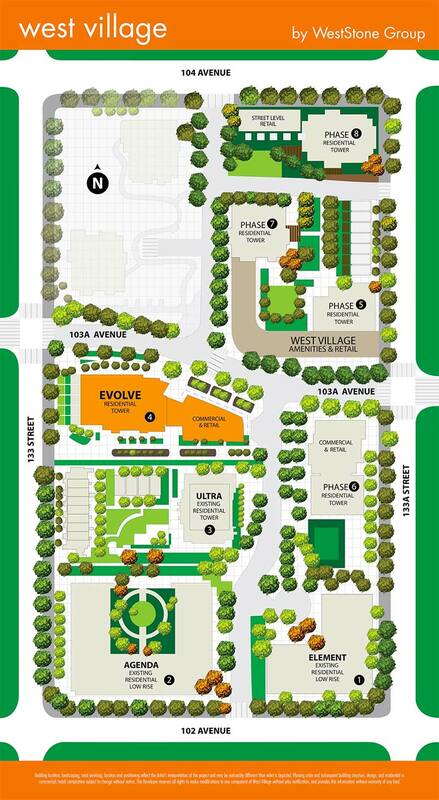 WestStone will continue the development of this area with phases 6, 7, and 8. Residents luxurious interior home and amenity experience will be enhanced by office and retail space that will include everything from a green grocer, to cafes, to an eclectic selection of shops and services. The location provides walking access to Simon Fraser Univeristy, and the sky train. After a long day of classes and work, unwind and relax on a restaurant patio in the Village. Weekends can be spent in West Village’s neighbourhood restaurants and boutiques. For big shopping trips, Central City Mall is within walking distance. Luxury and convenience converge in the West Village.